Public and Custom Workshops (for unique needs) hosted in Singapore, Malaysia & Hong Kong. Our Visual Thinking workshops will help you harness the power of pictures as a planning and problem-solving tool, a means to capture ideas, make connections and clarify thinking. This workshop is about giving you creative confidence and creative independence. We won't teach you how to draw beautifully, but we will show you how to build your own visual vocabulary, organise complex information and draw something useful, wherever you work and whatever you do. We’ll start the day developing a repertoire of simple but incredibly hardworking drawings. 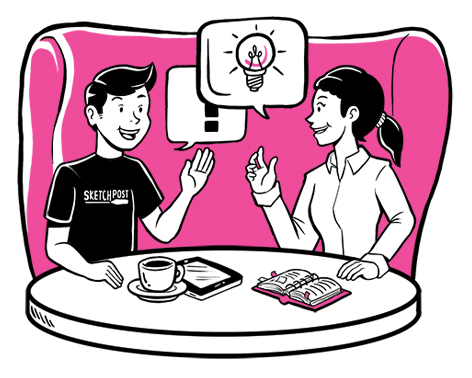 From there, we’ll show you how to use your new visual vocabulary to solve problems creatively, think strategically, present ideas clearly and collaborate with others, and engage with your audience. So, join us for an exhilarating day of doodling, and be amazed by what you can achieve. 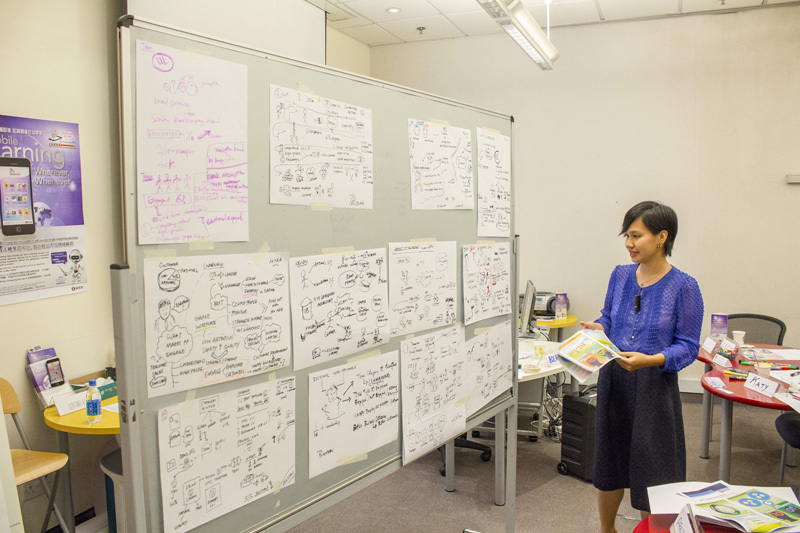 Photos from a workshop for UX team of DBS Singapore's Consumer Banking Group. We helped develop storytelling methods to convey user journeys and show the value of their ideas. How to overcome the challenges of sketchnoting: - How to deal with time pressure, structure, abstract concepts, etc. We will dive into the topic of visual notetaking (also known as sketchnoting) and visual explanations and explore how you can start capturing presentations, meetings and your own thoughts in a more engaging way. We will explore how to work with structure, visual hierarchy, making mistakes and time pressure when working in real-time. The workshop is hands-on and practical, consisting of a fun and healthy mix of analysing and understanding underlying principles, live sketching demos, individual exercises and and learning from each other in group critiques and discussions. Photos from a workshop with senior management of MTR Hong Kong to learn the basic of graphic recording and thinking visually. Subscribe for updates about happenings and for early alerts when workshop tickets will go on sale! Tell us more! Hello@sketchpost.com, +65-91202604 (WhatsApp) or fill in this form.